This is an AnneLayneToo Original Design! 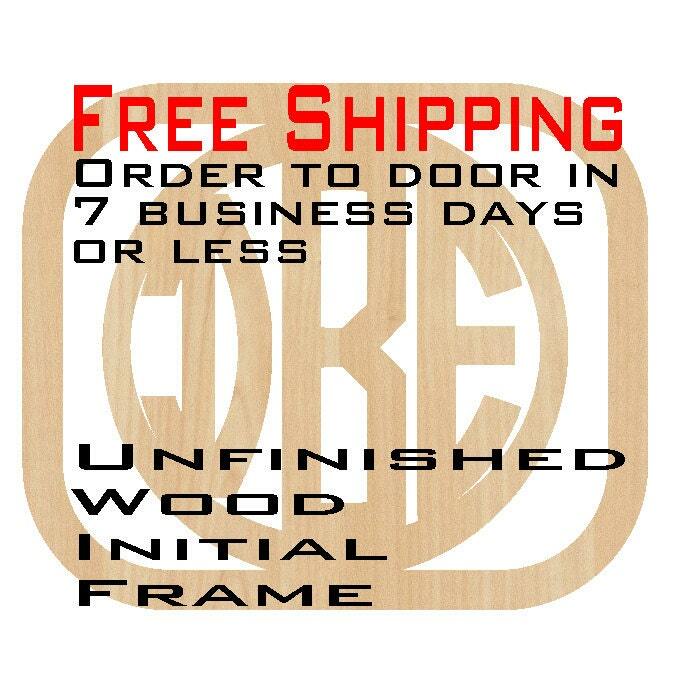 This listing is for FAST FREE SHIPPING of a laser wood cut Carter Frame Monogram in landscape orientation with the font type Circle Monogram...We ESTIMATE your purchase from order to door in 7 business days or less (Shipping Policy #4) for all items delivered within the contiguous continental US. 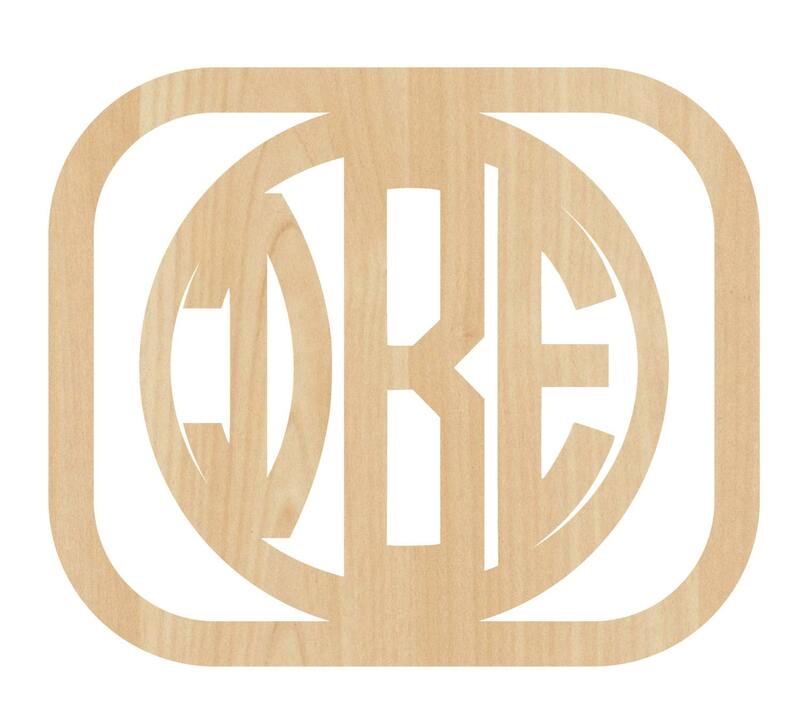 The Commercial Class Laser that cuts our wood pieces makes a beautiful, smooth, dark edge and sometimes even a slight haze around the cut edges that adds to the character of the piece. If you choose to stain it, the haze will likely show through the stain to keep this unique quality. If you paint or decoupage the piece, you will completely cover the haze left by the laser. Either way, you will have a piece uniquely yours. (2) The frame size is determined on the frame's longest points (right to left (landscape orientation) OR top to bottom (portrait orientation)). The width (short side) of this frame is approximately .85*height. If you have any questions about how to find the short side of a frame, you can contact me through convo, and I will provide you with a close approximation. 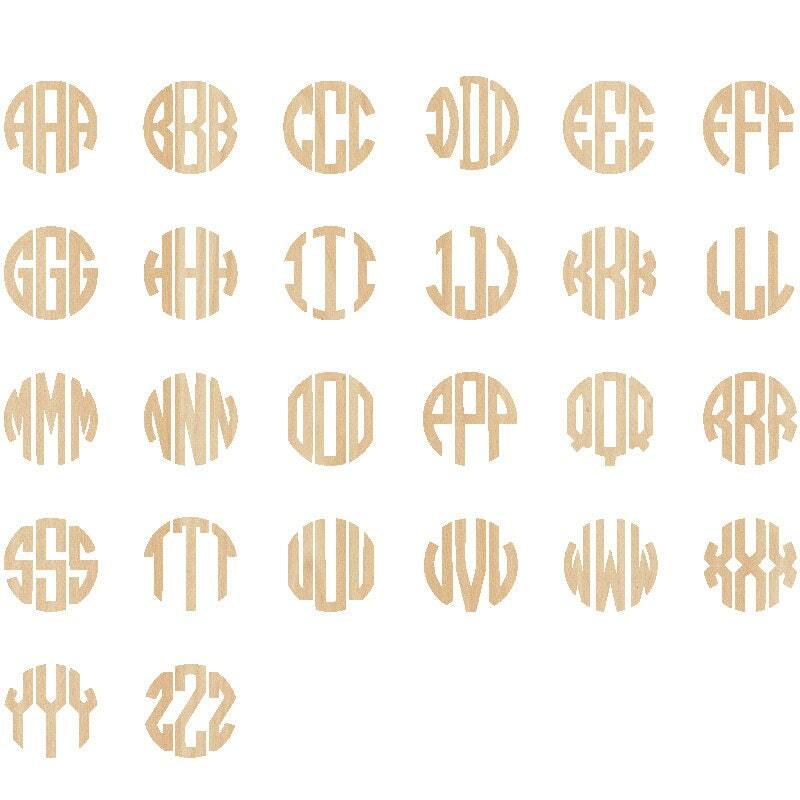 We will continue to stock our letter choices, shape choices, and sizes on Etsy. If you do not see something here you are looking for, please convo me, and I will be happy to provide you a price for the letter or the shape and the size you need. We can cut almost any font, any shape, and most items up to 42" on the longest side (height or width). If you need more than item quantities given of this piece at one of the given sizes, we will happily create a custom listing to accommodate shipment of more pieces at the sizes needed. Please convo me to discuss price and size. Thank you for taking your time to stop in. You can also visit my other shop, AnneLayne. I use our wood pieces to create my own projects.